More than one third of America’s adults rely on prescription drugs and medical devices to relieve common ailments and enhance quality of life. One medication prescribed to thousands is Xarelto – a blood thinner used to help prevent strokes in patients with non-valvular atrial fibrillation. Produced by Bayer and marketed by a Johnson & Johnson subsidiary, this new generation of oral anticoagulants has also been approved by the FDA to address blood clot complications linked to deep vein thrombosis (DVT) and pulmonary embolism (PE). Like its competitor Pradaxa, Xarelto lacks a reversal agent to quell bleeding events, and has been blamed for dozens of deaths and injuries caused by uncontrolled hemorrhaging. Over the past few years, many victims have turned to a product liability lawyer for advice on their legal options. Qualified Xarelto attorneys can explain the litigation process and assist with filing a claim in the event of serious personal injury or wrongful death. The global market for blood thinning medications like Xarelto is estimated at upwards of $20 billion, with drug manufacturers pushing new, more convenient options to the old standby Warfarin. Those who have been harmed from Xarelto claim that Bayer failed to conduct premarket tests to determine the safety or efficacy of its product, and failed to warn consumers about adverse side effects. But going up against deep-pocketed pharmaceutical giants by filing a Xareto lawsuit is no easy task, and one that should not be undertaken without capable legal counsel. A Xarelto attorney can help clients in myriad ways. A seasoned lawyer can evaluate the circumstances of your case, including your medical history and related financial losses, to determine whether you have grounds for seeking monetary relief. Once a complaint is filed – whether in state or federal court – your attorney will keep you abreast of Xarelto litigation and help negotiate a fair pre-trial settlement, should mediation take place. Those who want to maximize their chances of securing a favorable jury award or settlement need the assistance and expertise of an informed Xarelto lawyer, but with so many options out there, choosing the right one can seem like a daunting task. In the wake of a loved one’s death or extended hospitalization attributed to Xarelto exposure, litigation may be the last thing on your mind. Keep in mind that statutes of limitation impose strict deadlines on the length of time for filing a claim. For this reason, it’s imperative to retain a lawyer as soon as possible to ensure you don’t forfeit your rights to legal compensation. Experience is critical – Dangerous drug litigation takes the skill and financial resources of a law firm that is well established. Look for a long list of successful settlements and court awards won against pharmaceutical companies, such as J&J, Merck, Pfizer and Bayer. Do your research – Referrals from friends or family can prove useful in some arenas, but not when choosing the product liability attorney to represent your Xarelto injury case. Due diligence is important here; be sure to ask questions, verify answers and don’t be fooled by slick ads or social media campaigns. Find out which attorney will represent your claim – Large firms often have dozens of attorneys in their employ, which means your case could be passed off to a junior member of the team. Right away, establish which attorney will be representing your claim in court. Choose a lawyer who is trial savvy – While many lawsuits involving dangerous drugs are resolved with pretrial settlements, some may go before a jury. 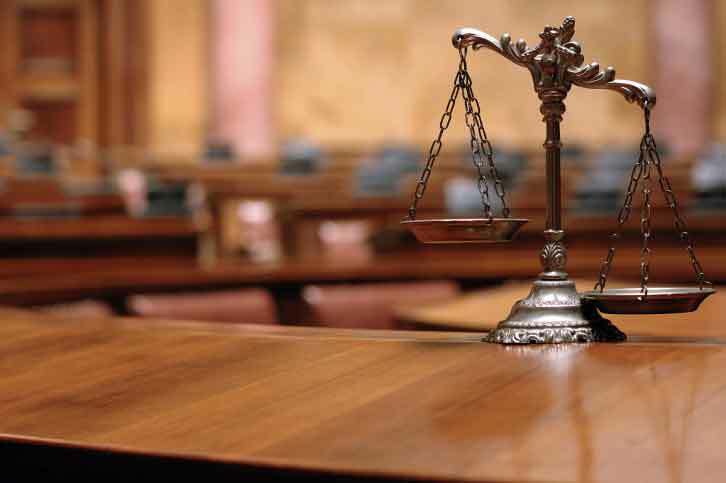 Look for legal counsel with ample experience in the courtroom. Pick someone who you’re comfortable with – Open, clear communication is important between client and attorney, so pick a lawyer who you can speak freely with about personal matters including medical issues. Your attorney should be responsive, compassionate to your needs, willing to answer all questions and available throughout all stages of litigation. Find legal counsel that is well-versed in mass tort litigation – Since Xarelto complaints are being filed nationwide, geography is irrelevant when selecting legal counsel. Your initial consultation should be in person, but subsequent communication can be through SKYPE, phone calls, emails and online conferences. Instead, focus on your attorney’s credentials and experience with mass torts, multidistrict and multi-county litigation against major drug makers. Select a lawyer that works on contingency – Most respected product liability lawyers work on a contingency basis, which means they only collect legal fees if you win or settle your claim. At this point in time, a Xarelto class action lawsuit has not been filed in the United States. Should claimants petition for class action status, your attorney can explain the potential benefits and disadvantages of joining this type of litigation. At present, cases are being brought on an individual basis, alleging serious Xarelto bleeding problems that have led to permanent injury or premature death. By working with a capable attorney, Xarelto victims have a solid chance of recouping compensation for lost wages, past and future medical bills, in-home modifications, pain and emotional suffering, loss of spousal consortium, wrongful death benefits and diminished earning capacity. In some cases, additional punitive damages may also be recovered if jurors find that Bayer and Johnson & Johnson acted with wanton disregard for public safety.